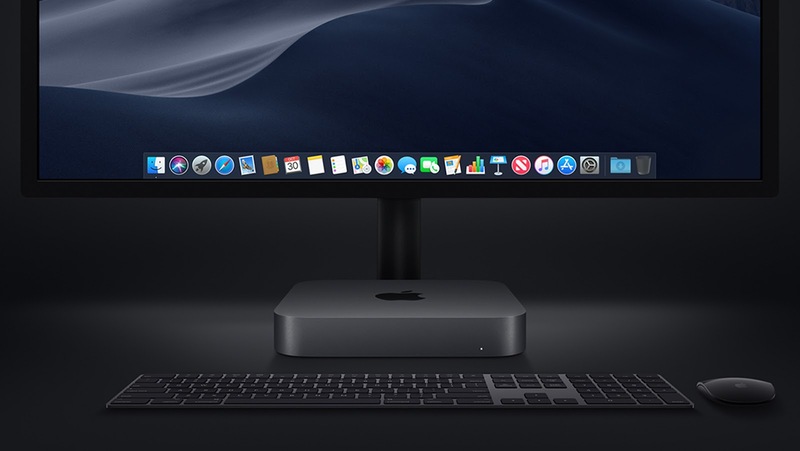 Apple unveiled the new Mac Mini just recently and has outed what brings five times performance than its predecessor, 6-Core Processors, all-flash storage and up to 64GB of faster memory which places it as the most powerful Mac Mini ever made. It's fitted with Thunderbolt 3 ports, the Apple T2 Security Chip and a 10Gb Ethernet option making it more faster and also secure for users. It's five times performance is made possible through its quad- and 6-core 8th-generation Intel Core processors with Turbo Boost Speeds up to 4.6GHz and Intel UHD graphics. 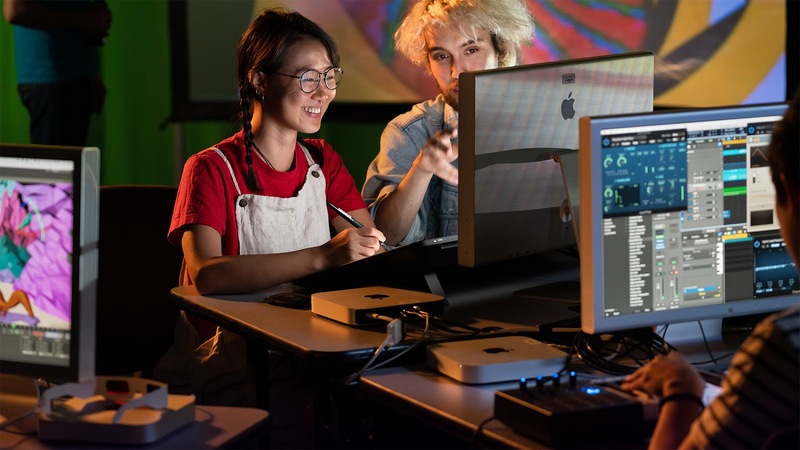 This enables the new Mac Mini take on traditional desktop tasks like music creation and software development, photo and video editing and professional tasks like video transcoding, code compiling and live musical performances with ease. With up to 64GB of 2666 MHz memory, It can load larger files into memory, run more virtual machines or manipulate even larger data sets. It now features the speed and reliability of all-flash storage with capacities up to 2TB that makes its SSDs up to four times faster. 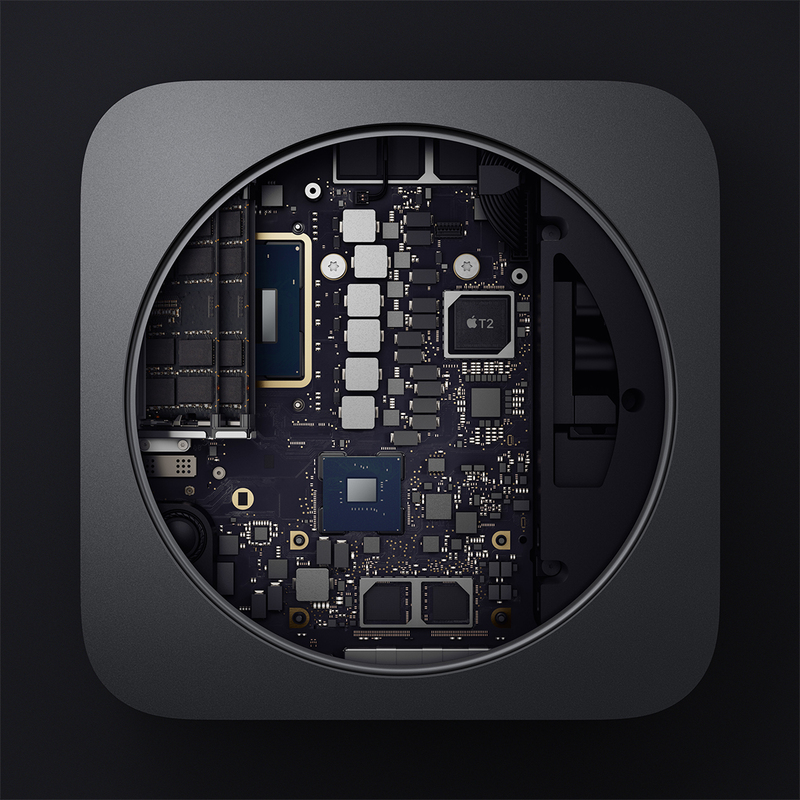 Industry leading security is also now available on the Mac Mini thanks to the Apple T2 Security Chip fitted with on-the-fly data encryption for automatic full encryption of everything stored on the SSD. The T2's secure enclave makes sure software loaded during the boot process has not been tampered with and also enables HEVC video transcoding up to 30 times faster. Four Thunderbolt 3 ports, twice the number fitted in its predecessor and each with double the performance is fitted in the new Mac Mini. This can connect to high speed storage, 4K and 5K Thunderbolt displays, and output video in three formats. It also features two USB-A ports, an HDMI 2.0 port, an audio jack and Gigabit Ethernet that makes it capable of connecting to almost anything. 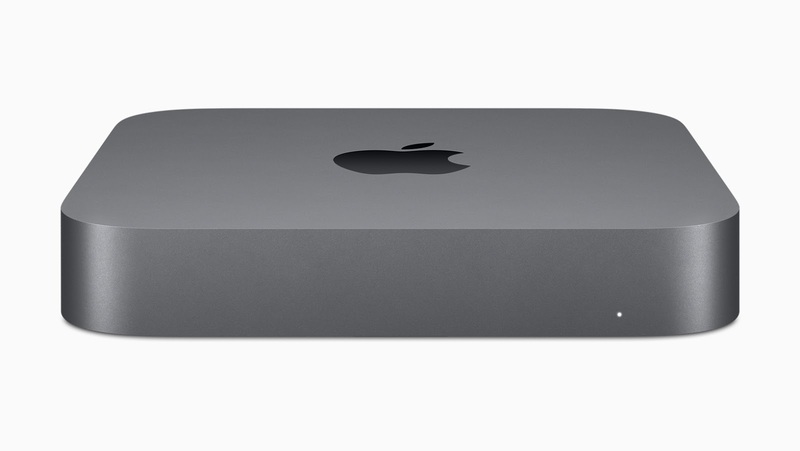 For super fast networking performance, The new Mac Mini is also offering a 10Gb Ethernet option for the first time. “Mac mini is loved by customers for its ability to be used in incredibly diverse environments — from casual desktop use, to live professional performances, to multiple Mac mini computers powering through video renderings and compiling software code, to racks of thousands in giant app build farms — anywhere a small-but-mighty Mac is needed to get the job done,” Apple’s senior vice president of Worldwide Marketing Philip Schiller stated.